MOLIN has always stood for highest quality and safety standards in the field of assembly and commissioning of industrial facilities and industrial building technology, continuously setting new standards. 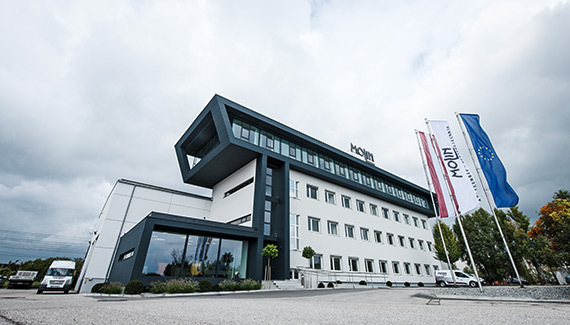 Since the company’s foundation in 1983, with its approximately 250 employees (as of October 2014) it has become an important know-how carrier of the industry beyond the borders of Austria. The company stands for innovative entrepreneurial spirit, top safety and quality standards which meet highest demands. Located in Wels since 1989, the company and its team of highly motivated specialists today provides solution oriented services in the fields of installation engineering, process and piping technology, building technology, machine assembly, air technology and plant engineering. 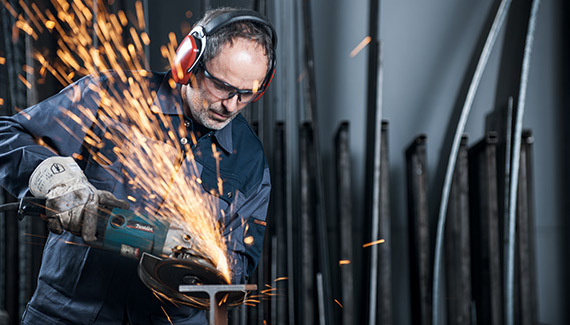 Highly qualified staff, such as installers, fitters, welders and technicians, enable MOLIN to mentor renowned companies domestically as well as abroad. Many nationally and internationally operating companies can be ranked among our satisfied customers: Agrolinz Melamin, BMW Motoren Steyr, Fresenius, XXXLutz, Hofer, Lidl, Spar und Interspar, Maximarkt, Takeda (formerly Nycomed), Rauch Fruchtsäfte, Voestalpine, Euro Shopping Seiersberg, SES Spar European Shoppingcenters (Atrio Villach, Max.Center Wels, SCS Vösendorf, Varena Vöcklabruck, …), Ritz Carlton (Vienna 1st District), Hotel Steirerschlössl and Café Wasserturm in Zeltweg as well as the Hotel Garni in Wallern. 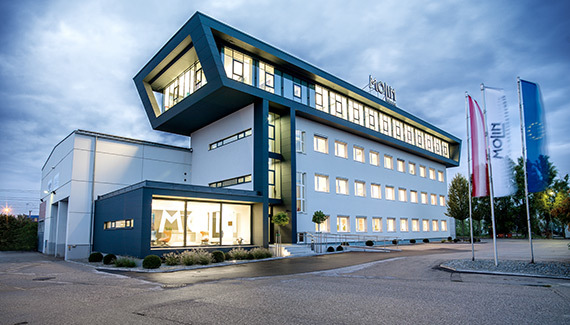 MOLIN has its origin in Linz where it was founded in 1983. The distinctive logo of today’s leading player derives from MOntage LINz and therefore corresponds with an exact industry location. In 1988, Managing Director Peter Zauner assumes control of the company. With only a small number of employees (17) a new company strategy is pursued which is focused on the systematic expansion of company divisions. 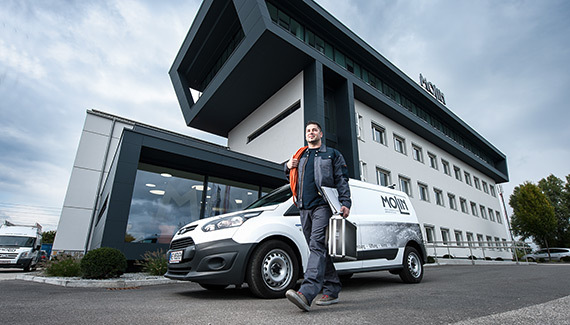 Since then, MOLIN has been offering solution-oriented services in the fields of installation engineering, process and piping technology, building technology, machine assembly, air technology and plant engineering. In 1989, the company’s headquarters was relocated to Wels. Since that time, business is conducted from this central site.In 1994, the Vienna branch was founded, and the cornerstone for the expansion of the company was laid. In 2002 the branch office in the municipality of Spillern (district Korneuburg, Lower Austria) was established. 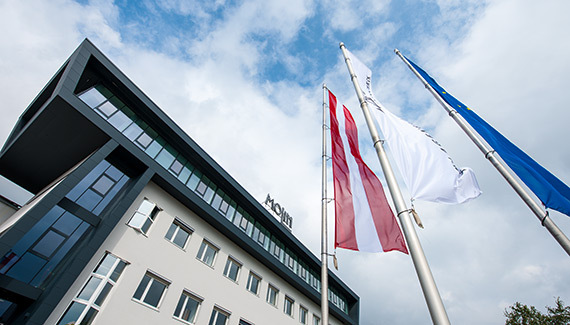 Today, MOLIN is considered far beyond the borders of Austria as a reliable and innovative company for the assembly and commissioning of industrial plants as well as industrial and commercial building technology. MOLIN is famous for its know-how and its innovative drive. The company stands for the highest quality and safety standards, setting new standards as well. Not least because of that, we consider it as a particular distinction being the bearer of the Austrian National Coat of Arms, an award, recognized and particularly appreciated for extraordinary performances, quality and innovative drive of a company, beyond our borders.